Participants pose for a photo after the CariSECURE launch. Seated from left to right are: Paolo del Mistro, Team Leader, CariSECURE project; Chris Cushing, Mission Director, USAID/Eastern and Southern Caribbean; Adriel Brathwaite, Attorney General of Barbados; and Chisa Mikani, UNDP Deputy Resident Representative for Barbados and the OECS. 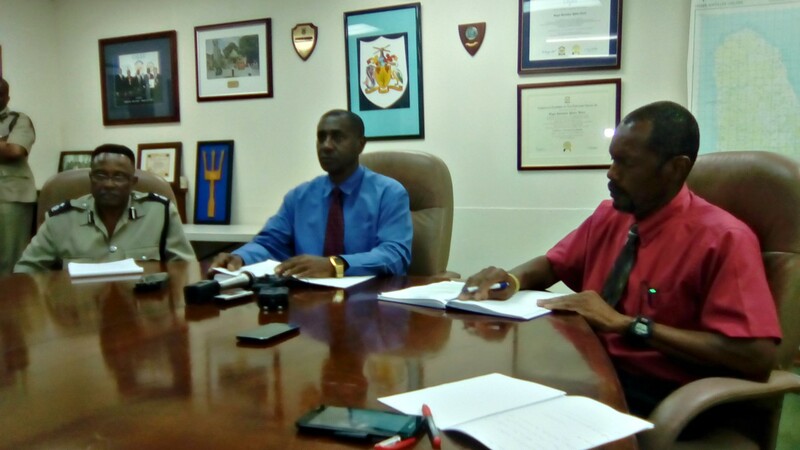 As calls have increased for urgent steps to be taken to address crime and violence within the Barbadian society an agreement between the Government of the United States of America and Barbados has been designed to do just that. 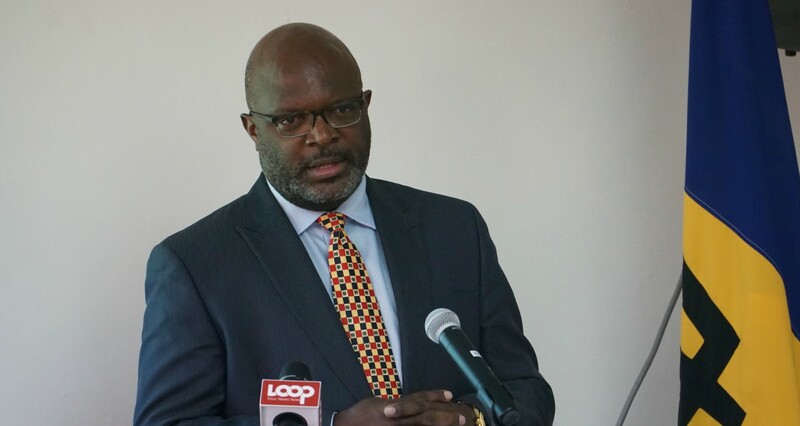 Today, the United States Government (USG) in collaboration with the government of Barbados, launched a National Task Force to improve citizen security data management, analysis, and monitoring for crime reduction in the region. The task force, part of the USG-supported CariSECURE project, will implement the Caribbean Citizen Security Toolkit. 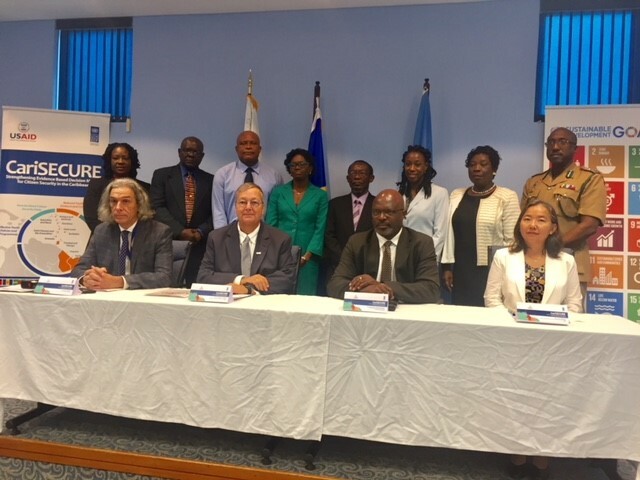 The toolkit, which was developed under the United States Agency for International Development’s (USAID) CariSECURE Project, introduces various instruments to standardize the collection of crime, violence, and victimization data by law enforcement personnel, and will enhance data quality and the effectiveness of crime reduction and prevention strategies in Barbados and nine other Caribbean nations. 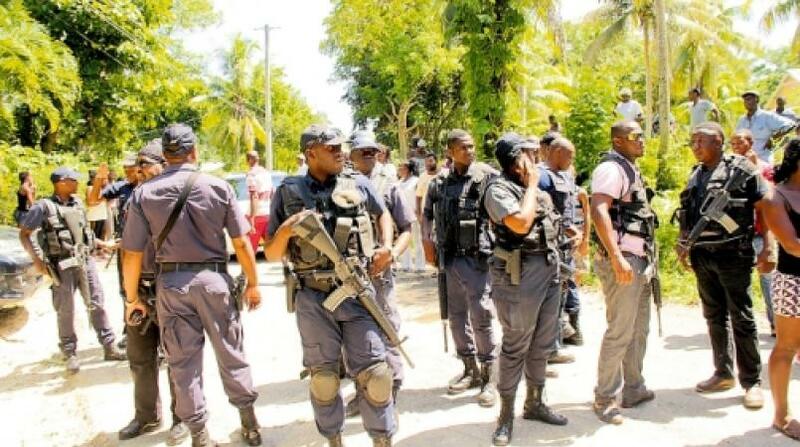 The Caribbean Citizen Security Toolkit represents an in-depth collaboration between USAID, United Nations Development Program (UNDP), host-governments, and stakeholders including the CARICOM Secretariat, the Regional Security System, and the Organization of Eastern Caribbean States (OECS) Commission. CariSECURE is a component of USAID’s Youth Empowerment Services (YES) Project, which aims to build the region’s capacity to effectively address youth crime and violence through the use of reliable national citizen security information. It represents a partnership between USAID and the UNDP, made possible by the support of the American people.